Sign up and receive Property Email Alerts of Houses for sale in West Beach, Blouberg. THIS HOME WILL SURPRISE YOU! 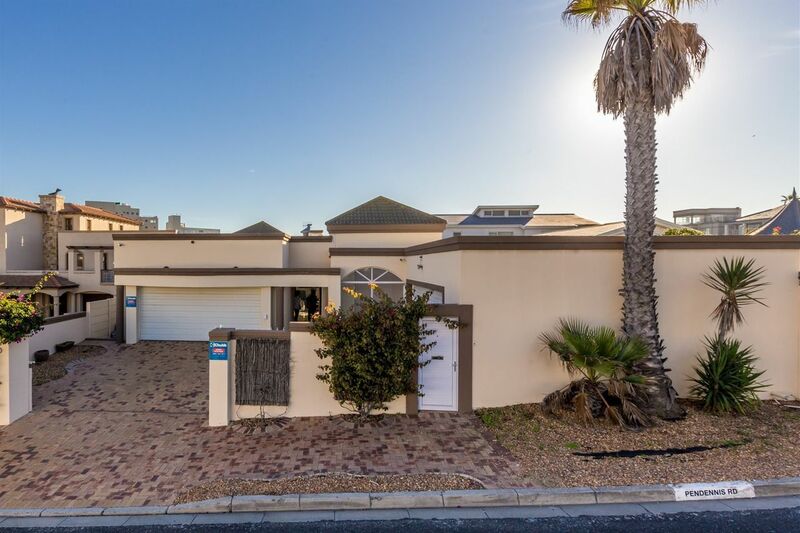 - INCREDIBLE LOCATION - An immaculate and completely north-facing West Beach family home with top class finishes, comprising of 4 bedrooms, 2,5 bathrooms, spacious open-plan entertainment areas, a study, utility room plus 2 double garages! Sunshine and light fills this home which is walking distance from the beach, and in a prime location. Top class finishes include solid wood kitchen doors, porcelain tiles, granite, block-out blinds plus roman blinds and excellent security. This can also be ideal as a lock-up and go holiday home, or renovated for guest house potential. The spacious entrance hall leads into an open-plan lounge, kitchen with scullery/laundry and dining room with double-volume ceiling, and double doors lead you into a braai room. Multiple areas open up onto the pool courtyard. UNLIMITED POTENTIAL to extend or to go up to have spectacular mountain & sea views! Height restriction 11 m to top of room with 1,500 sqm maximum floor area. There are plans for extension and a flat on this spacious erf that was previously approved. You can achieve the best of both worlds - views and sheltered north-facing living. Sign-up and receive Property Email Alerts of Houses for sale in West Beach, Blouberg.